HSE recommend that anyone who uses ATV should have a recognised certificate of training and competency. Anyone who is required to use any type of ATV in agricultural and other industries, from experienced drivers who may just need refresher training to novice drivers who will require more comprehensive training. Compliance with legal requirements, with an emphasis on Safe Practice. 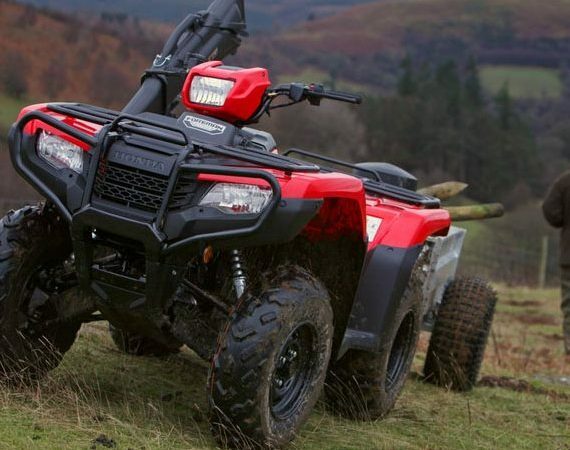 How to Identify the risks associated with using an ATV. How to Identify the controls and components. An understanding of the function of all instruments. How to carry out daily checks as indicated in the operator’s manual. How to carry out appropriate pre-start checks. Identification and reporting of any faults. How to start up and ride over a variety of terrain and ground conditions. Carry out an emergency stop without locking the wheels. Carry out a failed hill climb. Operating the ATV safely on appropriate slopes. How to secure a suitable load and drive over appropriate terrain. Safely hitch a trailer or trailed implement and manoeuvre through a defined course.